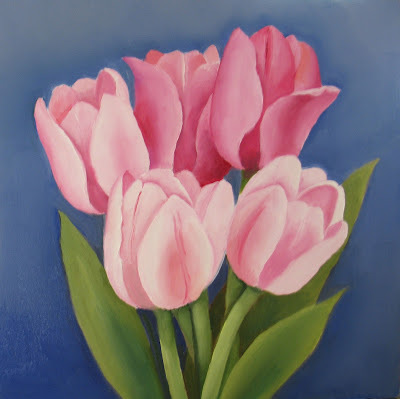 One last painting of tulips before I set that idea aside for awhile. I liked the idea of a blush color or very soft pink. Then the blue background just evolved. It looks good, I think.